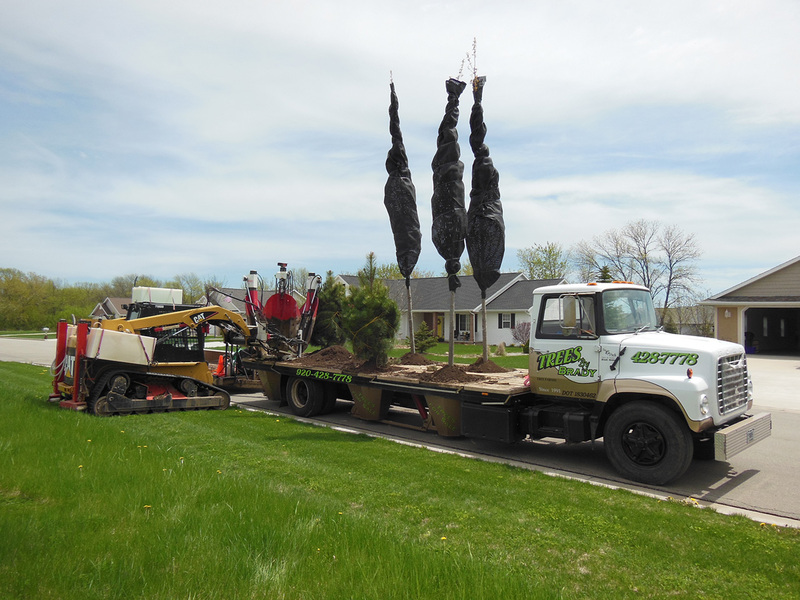 Trees by Brady has improved on the methods of tree transplanting with the design of our 6 place tree carrier truck. No one can plant six trees at one time faster or more efficiently. Gone are the days of hand digging a hole, wheelbarrow dirt or hiring a big crew. Delivers up to six trees in one trip. Uses a large 40’’ inch dia. root ball size. While the truck and trailer remain parked out on the edge of the roadway, the rubber track loader/ tree spade is used to scoop the trees from the truck, transport and plant the trees. The 18’’ inch wide rubber tracks are easy on lawns and will go just about anywhere. The truck then returns the dirt plugs from the planting site back to the tree nursery for the next load of trees. Our system does not use wire baskets or burlap as in traditional planting. 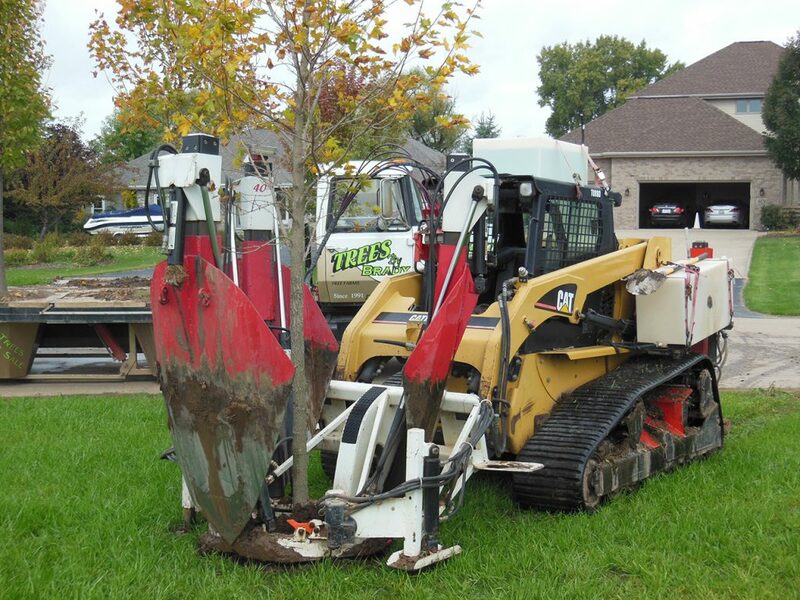 Tree staking is not needed as the tree fits tightly into its new location. 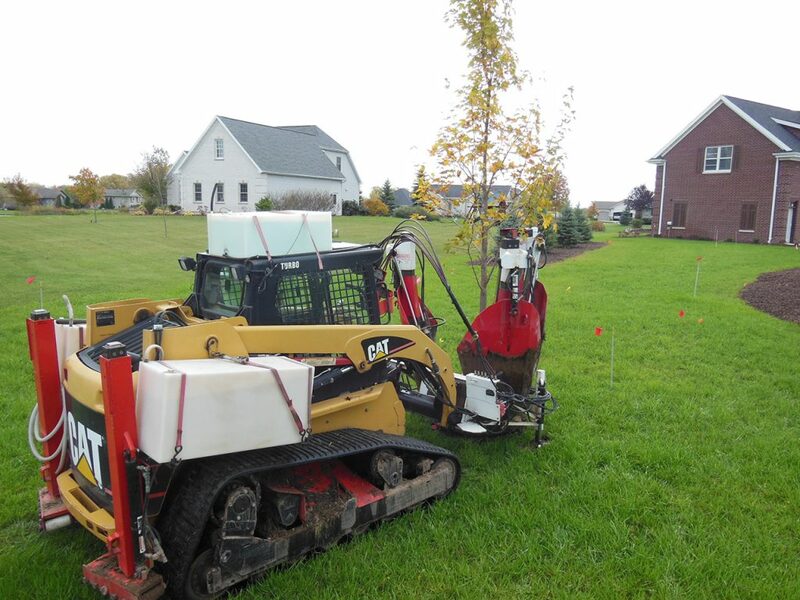 We can bring our trees or transplant your trees up to 3 1/2’’ inch trunk caliper.